Sick kids, vitamins, body weight, allergies, constipation, spitting up…and so much more. "Presents a no-fuss approach to helping young children develop the healthy eating habits that will see them through a lifetime. Its delightful tone makes it a joy to read and refer to, over and over again." 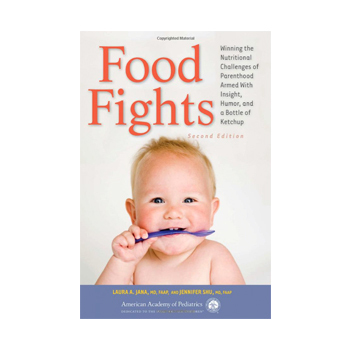 "Food Fights makes it clear that raising children who are healthy eaters requires good role models for healthy eating. The tips provided throughout the book make it easy for parents to be those healthy role models."